Alpro is the latest brand to fall foul of the Advertising Standards Authority (ASA), which has ruled Alpro did not make it clear enough that it had paid a British celebrity to post tweets about one of its products. So as food and drink PR and marketing specialists we thought we’d help clarify just what are the regulations concerning social media advertising, and how can brands stay on the right side of the rules? 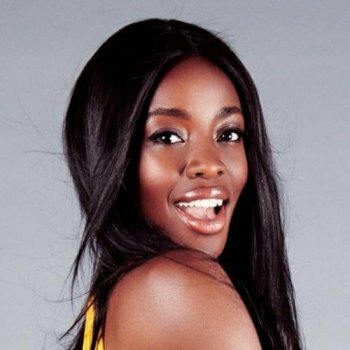 AJ Odudu, a British TV presenter and fitness blogger with over 25,000 followers on Twitter, was paid by the Belgian manufacturer for a three month UK campaign to launch the yoghurt -style product Alpro G which included posting a specified number of tweets. According to a report on Foodnavigator.com: the contract stipulated that although Alpro would provide the key messaging, Odudu would draft the posts herself so that they were written in her own language, and that she would not promote competitor products during the same period. One of the tweets, which has been deleted, showed a photograph of Odudu holding a pot of blackcurrant Alpro Go On with the text: “FAVE summer snack vibes @Alpro_UK. Full of plant goodness, fruity, high in plant protein,” prompting a complaint filed anonymously that questioned whether it was made clear enough the tweet was an advert. The advertising watchdog therefore concluded the tweet was in breach of the code. The ASA said that Alpro had acknowledged the tweet was an advertisement but believed the tweet lay outside the scope of the UK’s CAP code and for that reason had not added an identifier such as #ad. 2.2 Marketing communications must be obviously identifiable as such. 2.3 Marketing communications must not falsely claim or imply that the marketer is acting as a consumer or for purposes outside its trade, business, craft or profession; marketing communications must make clear their commercial intent, if that is not obvious from the context. In other words: an ad has to be labelled as an ad. If you’re paying a celebrity to endorse your product, it is in effect an ad – money has changed hands. As social media continues to develop at pace, this is a challenging area for brands. The endorsement of an influential blogger can be PR gold dust for a brand. Research from Twitter and consumer data collection company Datalogix, indicates the impact of promoted (paid for) and organic (not ¬paid for) tweets on offline sales, and claims users who engaged with promoted tweets purchased 12% more from that brand compared with 8% for organic tweets. However, as food and drink PR specialist, our advice to clients is that if you’re in any doubt, it’s better to make it clear that you’ve paid for an endorsement. It also goes to show that whatever the media, there’s no alternative to good old fashioned publicity earned on the merits of the story. At the end of the day consumers know the difference. Find out how Pelican Communications can help you develop a social media strategy and deliver food communications campaigns that make a measurable difference.